When two “Snowy Egrets” were reported in Fair Haven (NE Placentia Bay) yesterday, my mind briefly ran through the possibility that they might in fact be Little Egrets – a similar but much rarer visitor from Europe. However, busy evenings in my house don’t often allow for time to ponder such things, and I soon moved on to more pressing issues (like getting our two young girls in bed after a raucous play date with their cousins!). 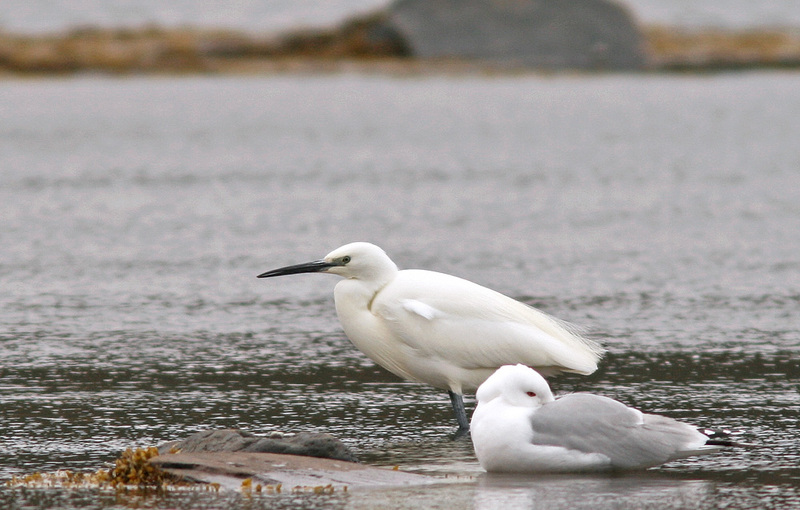 No worries – Snowy Egrets are a somewhat expected straggler to Newfoundland in spring, anyways. Wait … what does he mean “possible Little Egret”?!?!?! Crap … I gotta go to Fair Haven. NOW! The all grey lores and two long head plumes help distinguish this Little Egret from its North American cousin, the Snowy Egret. I checked my email to find a message from my friend Paul Linegar saying he had seen photos of the two egrets and felt that they “might” be Little Egrets. I looked at the photo he had sent and, despite being distant and slightly out of focus, it sure looked intriguing. I sheepishly informed my (very understanding!) wife that I would have to postpone our plans for the day and hit the highway … with assurance it was only a little over an hour away and I’d be back right after lunch. In a poor attempt at penance, I hastily cooked breakfast for her and the girls before putting the rubber to the road. I picked up my old birding buddy Chris Ryan at a turn-off about 20 minutes out the highway and we gunned it through the rolling fog and drizzly rain all the way to Fair Haven, where we lucked into clear visibility under overcast skies. It took only two minutes to find the egret, and just a couple more to confirm it was in fact a LITTLE EGRET!! This is a species that has managed to elude me during my dozen years of birding in Newfoundland, and one I’ve been waiting for. Bingo, baby! 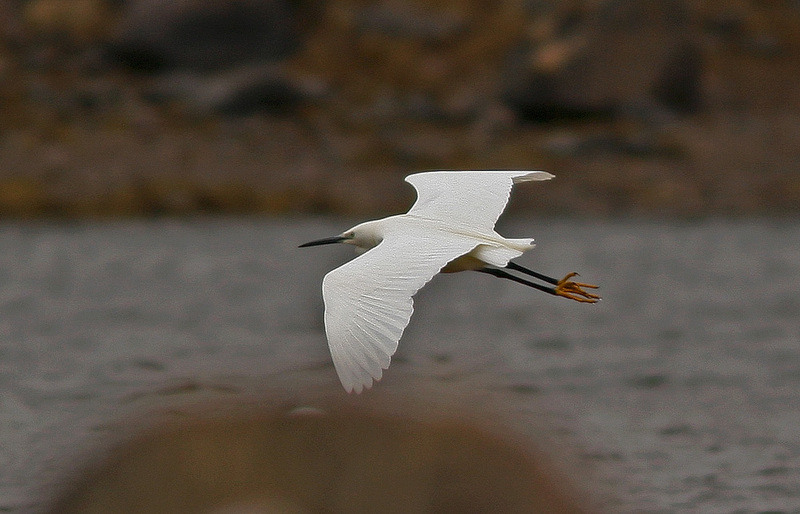 This Little Egret marks the 9th record for Newfoundland. We stayed in the area for a couple hours, watching and photographing the Little Egret and occasionally making forays around the harbour to look for its missing partner. A local gentleman told us there were still two egrets “this morning”, although I later heard that Paul Linegar had also only seen one at 8:00am. Apparently the birds have been seen flying up a small river and foraging in a small steady just upstream, so maybe it was simply hanging out up there. The man also told us that the other bird was often seen drooping its wing when standing, although it seemed to fly well. We can only assume at this point that both birds are Little Egrets, although there is always the possibility that the missing one was a Snowy. Who knows!?!? So … another nemesis bird off (on?) the list … and a beauty, at that! Sweet. 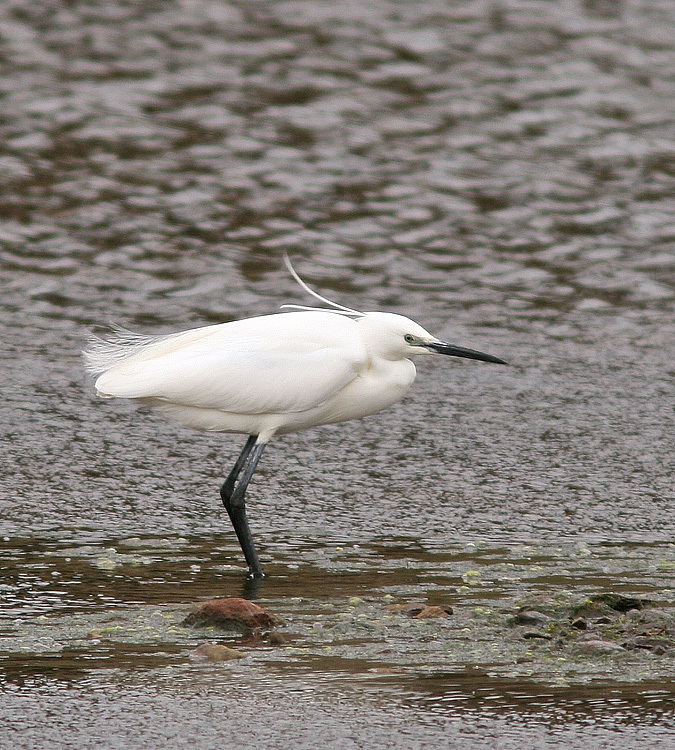 According to my records, this Little Egret marks the ninth record for Newfoundland. This entry was posted in Uncategorized and tagged Egretta garzetta, European vagrants, Little Egret, Newfoundland, rare bird. Bookmark the permalink. What happened to the head plumes in photo two?Easy to say that there are no plumes based on this photo.I read that plumes are not always present in Little Egrets so blue-gray lorel area may be the most definitive feature.An egret was present in Traytown several years ago in May did not have plumes but did have the blue-gray lores.I was happy with Little Egret but several other birders id’ed Snowy Egret even though lores are generally yellow on that species. The plumes on this bird were often difficult to see, being blown back along the head and neck in strong winds as the bird huddled down. The plumes could usually be seen with scope views, or by waiting for the bird to move and allow for them to be displaced from the body. I strategically chose that first photo to include in the post since it did show the plumes, but many of my photos did not. I recall seeing the Traytown egret you mentioned a few years ago, but unfortunately quite distantly. I seem to recall thinking it was fine for Snowy Egret since it had shaggy head plumes rather than two distinct plumes, but unfortunately I don’t have any photos or specific notes about it. The Little Egret is still there as of noon on Sunday. Beautiful bird!